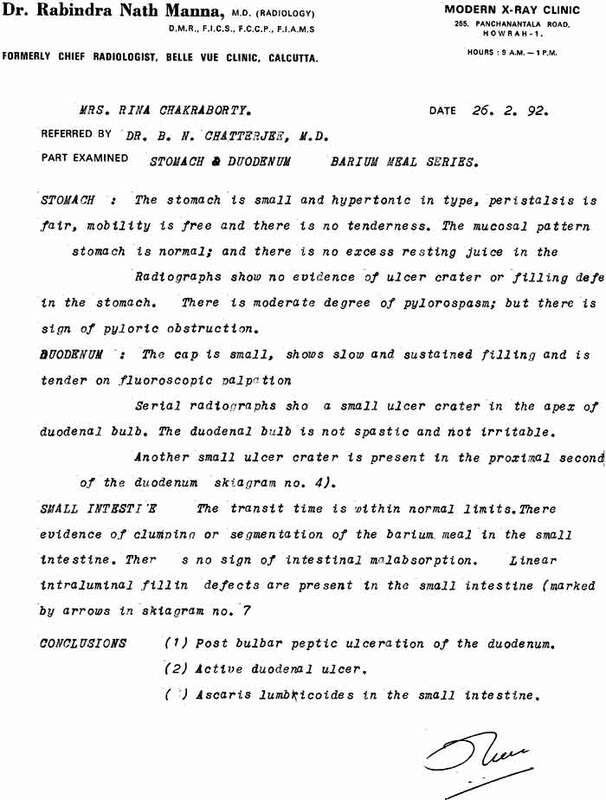 Barium meal report of Mrs. 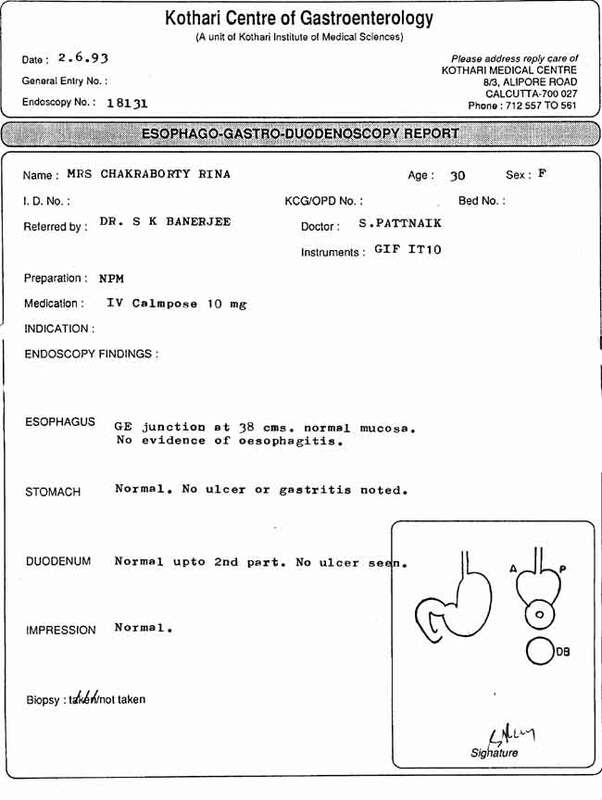 R.C., Peptic Ulcer, before treatment of Dr. Banerjea. Oesophago-Gastro-Duodenoscopy report 3 months after treatment.